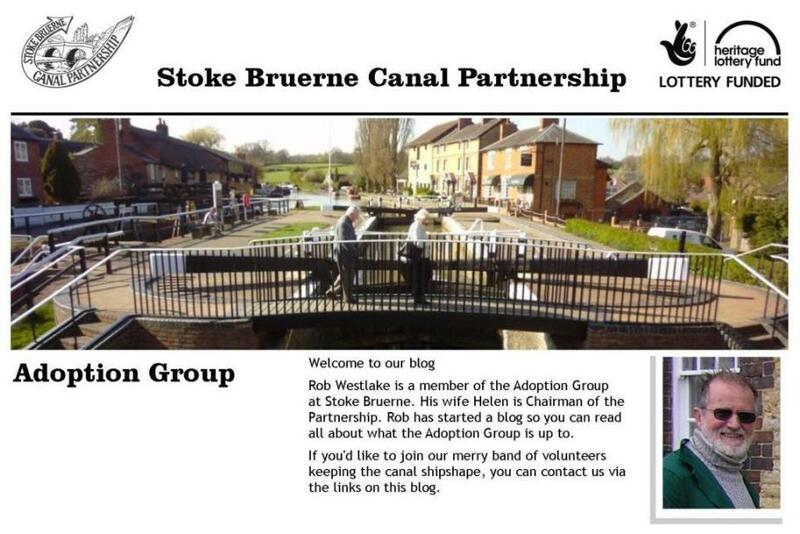 Stoke Bruerne Canal Partnership: A hard day's graft! 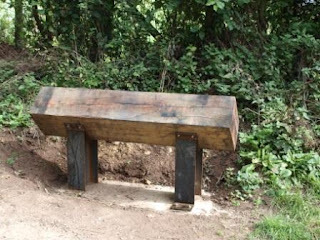 For some time, the Adoption Group had been waiting for news of when the installation of new interpretation boards all along the canal corridor would take place, as the group had offered to assist with this substantial task. The Stoke Bruerne regulars were joined by stalwart volunteers from the Northampton Arm task group, whose assistance was invaluable. Prior to the October meeting, energetic volunteers had installed the metal supports made by Bob the Blacksmith for the oak beams which would hold the panels. At the task day, these were undercoated and painted in special black paint – quite a job in some places awkward to get at! Meanwhile, a second team began the mammoth job of sanding down the oak beams ready for painting later. A back up team, meanwhile, cleared more apples from below the dry lock and weeded the canal side outside the museum, to keep things looking presentable. A hard day’s graft!